Toronto-based mobile developer Get Set Games is set to release Mega Jump 2 on mobile devices. The sequel to the original Mega Jump will see players jumping and bouncing as high as they can into the sky, with Redford and his friends making a return from the first game. The original game has been downloaded more by more than 45 million gamers to date. In each game of Mega Jump 2, players tilt their iPhone or iPad to control their character in the sky. Each collected coin or token boosts players higher and higher, with games ending as players fail to collect an item and fall back down to earth. Players can also bounce off of stationary and moving platforms, as well as enemies. Hitting an enemy from below, however, means game over. The game’s store offers shield power-ups for dealing with enemies, as well as instant distance boosts, score multipliers and more. The game’s missions challenge players to collect large amounts of coins, points and more as they play, and will offer overall score multipliers as groups of missions are completed. Players can spend coins to skip these missions, or to purchase Lucky Boxes that may contain premium or free currency, power-ups and score boosts. 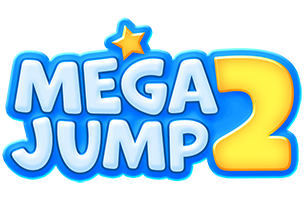 Mega Jump 2 was built on a new game engine, and includes a highly requested feature: the addition of individual skills and powers for each character. The blue monster Bluto, for instance, offers a one second boost for magnet power-ups, while the pink monster Rosie offers a two second bonus to fireball, and two seconds to the double score boost. Mega Jump 2 is set to come to iOS on January 16. Check back soon to follow the game on AppData, our tracking service for mobile and social apps and developers, and check out the game’s trailer below.